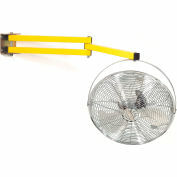 Global Industrial’s 18 Inch Double Arm Loading Dock Fan provides an ideal solution for cooling and ventilating loading docks, shipping areas, warehouses, and a variety of industrial applications. 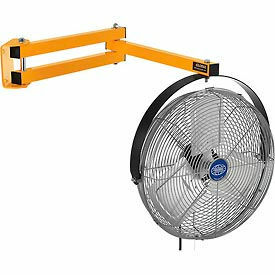 The 40 Inch Steel Twin-Strut arms do not sag and extends allowing for a large range of motion to cover a large area of space. 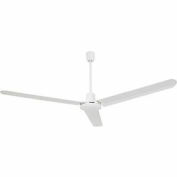 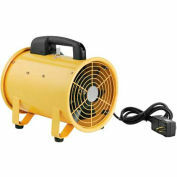 The Fan features 3 speed settings with a pull chain control and is powered by a 1/3 HP, 120V single phase motor with a 10’ long SJT conductor cord. 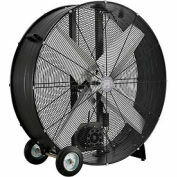 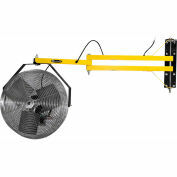 The fan blades are constructed of Aluminum with double locking guards. 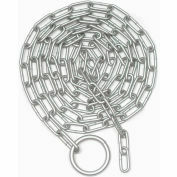 Wall bracket and yoke included. 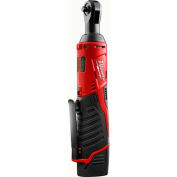 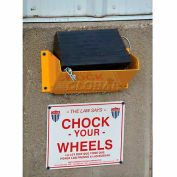 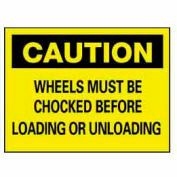 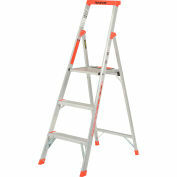 UL, cUL listed, and meets OSHA and UL507 Standards. 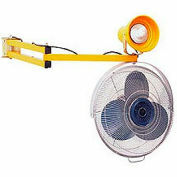 Fan comes with a 2 year limited warranty standard.